It's All in the Jeans! 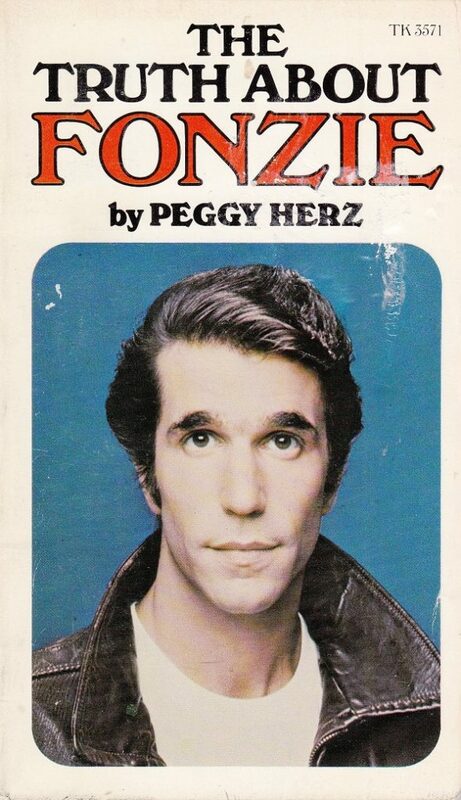 From the Happy Days Files, here is the definitive work about the Fonz. Happy Days was a family favorite back when I was a teenager. I am sure if you are my age or older you probably did invoke the phrase “sit on it” at some point (teachers and parents being the preferred target). 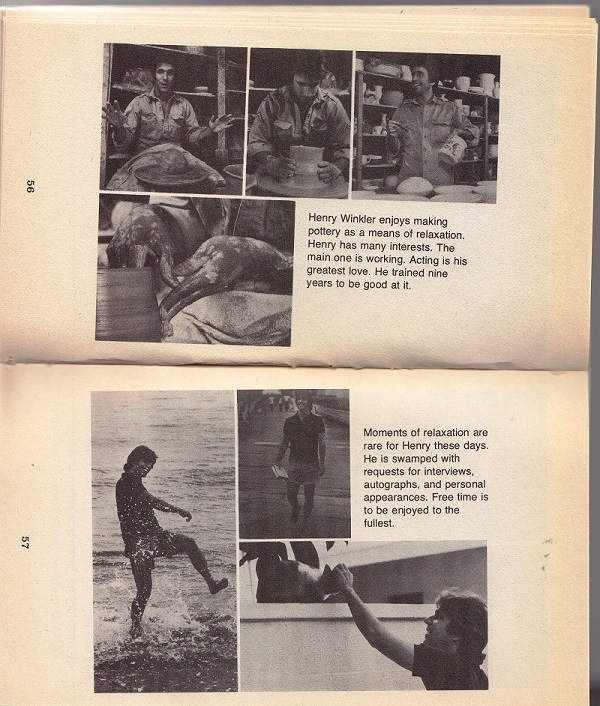 I always have been a fan of Henry Winkler, as an actor, the author of Hank Zipzer book series for kids and as one of my junior high crushes. I would have loved this book if it had been available in 1974, but by the late 70s and the infamous “jump the shark” episode in 1977, Happy Days was quickly starting to fade as a cool show. Previous Post:It’s All in the Jeans! Ah yes, I still remember how much The Fonz taught us kids how to be “cool”. My brother would even attempt to make appliances switch on and off just by knocking on them, and saying “sit on it” would surely make your teacher faint in an era when getting away saying with the F word was still taboo. There was even a cartoon series of Fonzie …IN SPACE! It was terrible, lol. I thought I was the only one who remembered that bizarre example of the animator’s art. I’m surprised this lasted in the library past about 1982, but maybe it was his good looks that kept the book on the shelf. The BBC has done a Hank Zipzer show for the last three years, staring Henry Winkler. It’s on CBBC. Just yesterday while reading an old Yale alumni magazine from 2012 (I’m a bit behind on my reading with all the time I spend on the Internet.) 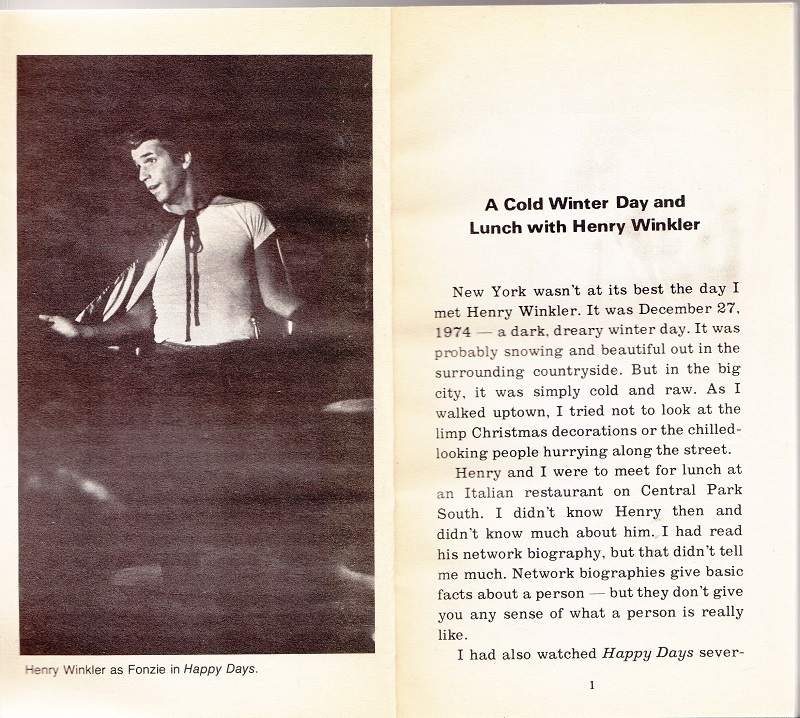 , I discovered that I technically went to school with Henry Winkler since we were both students at Yale in 1970 when he graduated with an MFA. I can also say the same thing about Bush Junior and both Clintons. Did I know them? Assuredly not since we were studying very different things, but we might have passed each other on street. 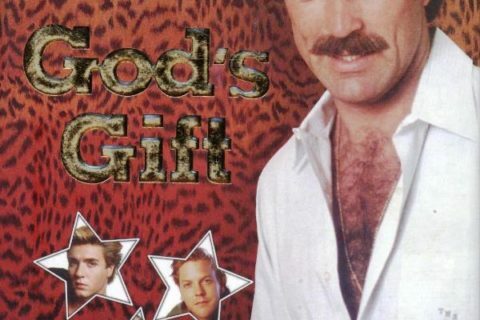 I used to have this book. I had 3 or 4 Fonzie books. 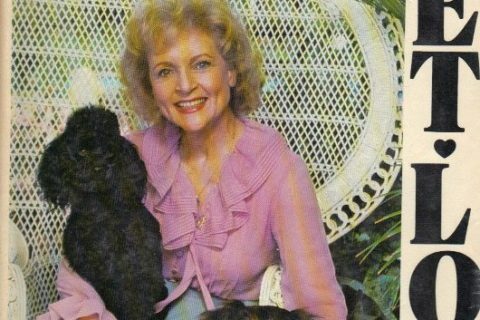 I sold them about 4 years ago in a flea market. I always wonder with these celebrity books who the intended audience is supposed to be. On the one hand, it seems like it might be directed at space aliens. On the other, it appears to directly target middle aged mothers of five. The “photo illustrations” are equally ambiguous. One photo where Winkler is being choked by a bolo tie while wearing a fringed bullfighters cape is captioned as being from the set of Happy Days. 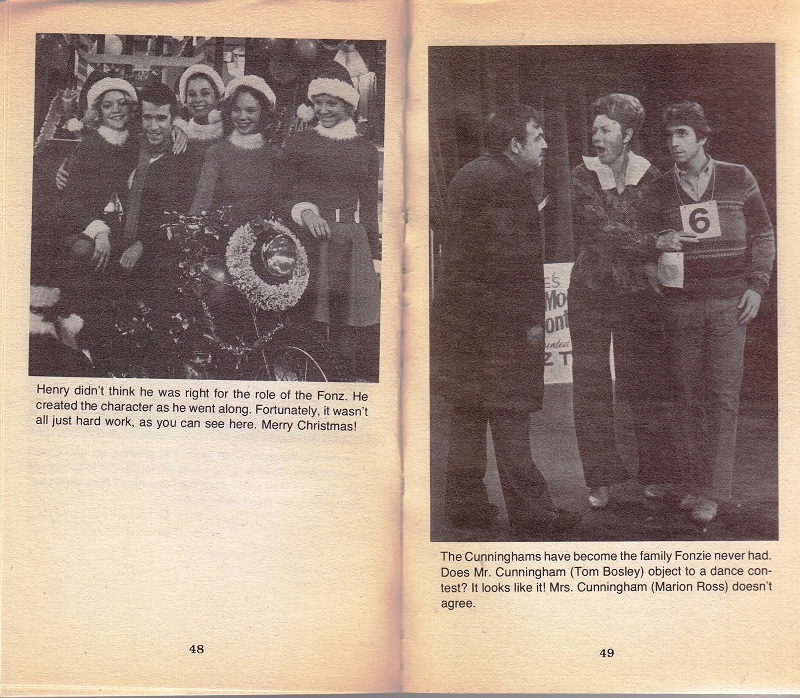 Another claims that The Cunninghams were the family that Fonz never had, using as evidence a photo of Winkler wearing a number across his chest while Marion and Tom Bosley engage in another one of their soul-crushingly boring squabbles. 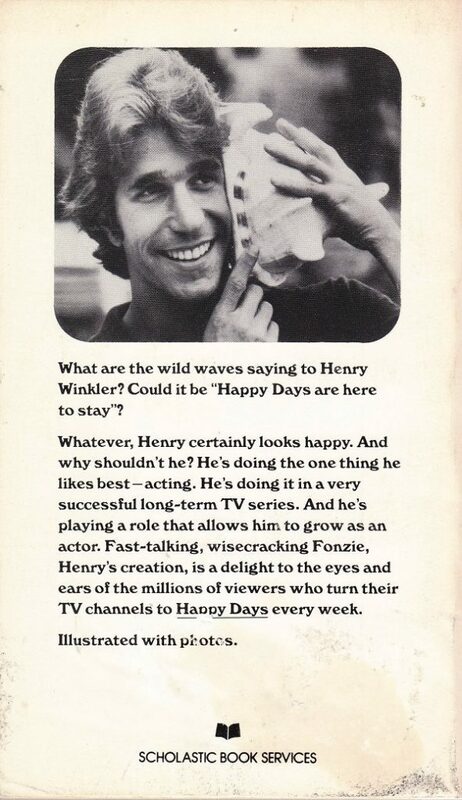 I believe I have watched every single episode of Hapoy Days during its interminable syndication in the pre-cable 1980s, and I never once believed that Fonz was in any danger of adoption by the Cunminghams. He was too old, for one thing. It was a puzzle indeed, why a thirty five year old man was hanging out with high schoolers.